As you know, the hobby of reptile keeping has never been more popular. There are currently more reptiles being kept as pets within Europe and America than there are cats, or dogs! And the trend is set to continue rising for the foreseeable future, with record numbers of newbie hobbyists joining daily. We always welcome new opportunities to work with great resellers, both in the UK and internationally. So, whether you are an independent pet store in the UK, or a major wholesaler overseas, please do get in touch with us, using the form below. We'd love to hear from you. To qualify for a trade account you need to be a legitimate pet store retailer, online retailer or wholesaler. Regrettably we don’t accept trade applications from persons wanting to trade on third party websites such as ebay or Amazon for example. 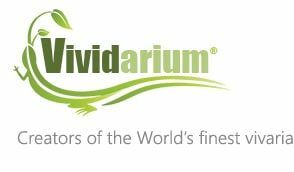 Vividarium do not permit any resellers to sell, display, or advertise on third party websites. If you apply to be a reseller of our products you are expected to accept these terms. If you are a pet store chain; How many outlets do you have? If you are a wholesaler; Approximately how many stores do you distribute to? Approximately how many Vividarium products would you expect to purchase on an average monthly basis?